Obama tells Kelly to "Instagram it"
Right before Kelly took off for his Year in Space, Obama honored him in the State of the Union address by wishing him luck and telling him to "make sure to Instagram it." Because why not. Kelly has a unique view of the gorgeous phenomenon of the Northern Lights, which occurs in high latitude regions when charged particles interact with the upper atmosphere. "Old, dusty, gassy and warped"
That was Kelly's description of the Milky Way, when he released this stunning photo of our own galaxy. Earth from Space is everyone's favorite genre of space imagery, and Kelly was diligent about snapping photos of our beautiful planet seemingly every day (as the President ordered). The above photo shows Earth with a glowing red atmosphere at night, and over his year in space, Kelly captured photos of many different parts of the world. 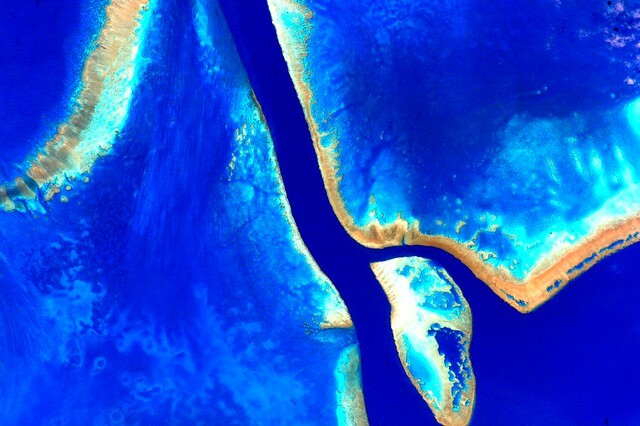 Kelly released many photos of Earth that highlighted the beauty of its colors, often enhancing the colors of the picture in order to make them look like abstract paintings. Kelly took 17 stunning photos of the Australian landscape as part of a series during a flyover in October 2015. NASA astronauts ate the first space-grown lettuce last year, and then decided to follow that up with the first flower to bloom in space. Kelly took over maintenance of the plants after Kjell Lindgren returned to Earth, and when the crops started to wilt, tweeted that he needed to "channel [his] inner Mark Watney." Apparently, it worked, because he revealed a beautiful zinnia plant that thrived on the ISS. Liquid is all kinds of fun in zero gravity, so Kelly treated the world with a game of liquid ping pong using a drop of water and two hydrophobic paddles. Kelly and his fellow astronauts were treated to an early screening of The Martian on the ISS before it came out in October. And in case you thought that the only drawback to spending a year living in space was missing the premiere of The Force Awakens, they got to watch that in space, too. Kelly released a video of him pranking his fellow astronauts and terrorizing them in a gorilla suit. Which is hilarious, of course, but also brings up all sorts of questions. Did he request a gorilla suit and add weight to a supply run's load? Or did he just pack a gorilla suit for his Year in Space in anticipation of this moment (which seems like exactly the sort of thing he would do)?